Become a youth facilitator at the 2016 Global Landscapes Forum! Submit a related event and join the Global Landscapes Forum platform! 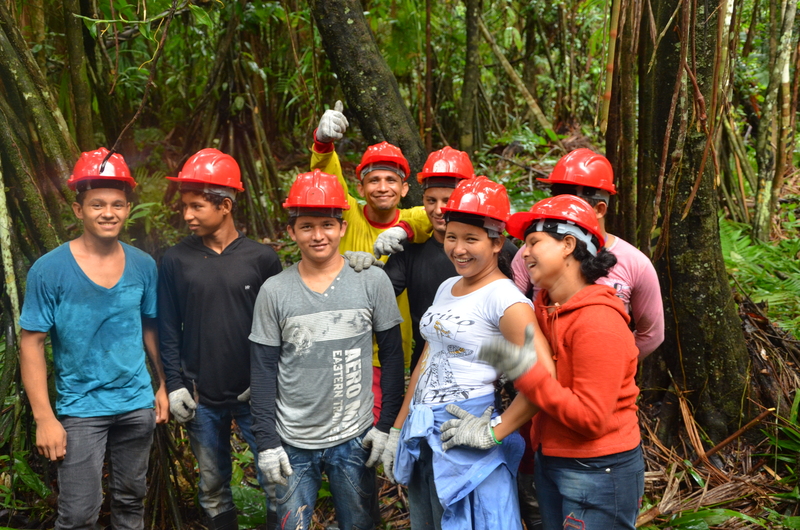 50 youth innovators joined Youth in Landscapes Initiative in Paris ! We asked you to show us the climate and land use solutions already out there, with your lens. Here are the twenty photos by professional and amateur photographers that were selected by popular choice for our exhibitions at the Global Landscapes Forum venue on 16 November in Marrakesh, Morocco. Saeed Anwar, Allan Castañeda and Amitava Chandra are the photographers behind the three winning images of the 2016 competition. See all entries to photo competition here. By Amitava Chandra The village Khonama at Nagaland in India. 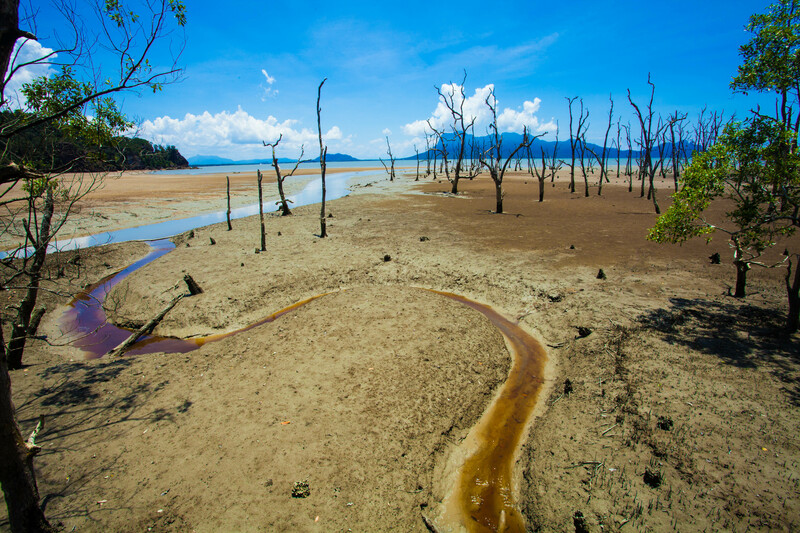 The soil erosion in difficult terrain like this not only causes jeopardy on the geographical contour of the region but also adversely affects the living-world of the surrounding locality. The step-cultivation is one of the most effective, known means for agriculture in hilly regions. 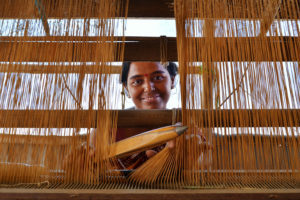 This ancient technique results in the production of food for sustainable living and stops the devastating effects of continuous erosion. By Allan Castañeda Ibaan, Batangas, Philippines. 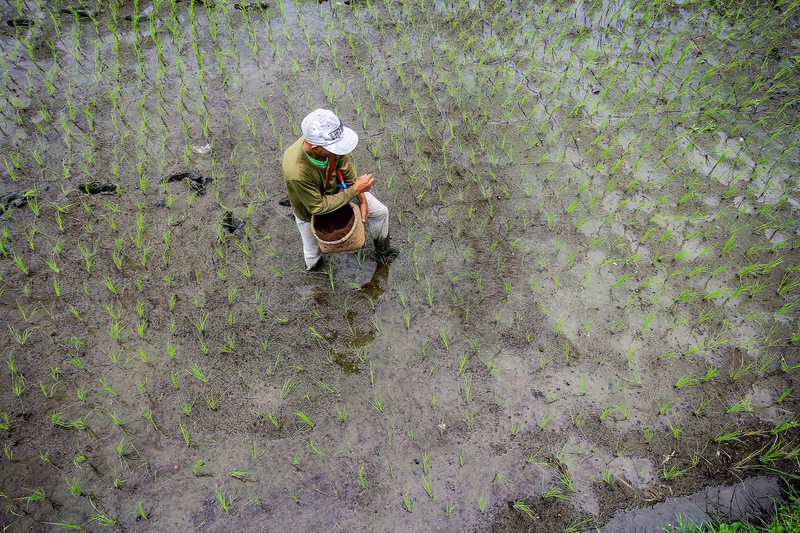 Local farmer in Ibaan, Batangas, Philippines experiments with his rice field productivity by applying their own cultured fertilizer and vermicast through vermicomposting. Their dedication to enhancing rice quality and rice crop stability is made possible by the production of their fertilizer product which does not harm or degrade the land. Rice crops that use this technology are more stable even in warmer climates and soil becomes healthier and more suitable for continuous planting for a better tomorrow. By Allan Castañeda Bangui, Ilocos Norte, Philippines. The Bangui Wind Farm of Bangui, Ilocos Norte in the Philippines implementing the use of wind turbines to produce electricity from natural resources without damaging nature. 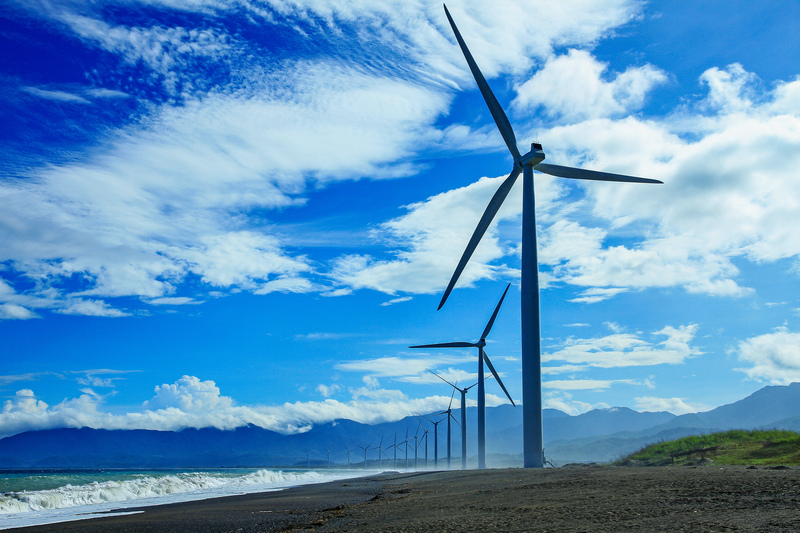 They are protecting the environment through this technology to help minimise global warming. Keeping the air clean in this area also promotes tourism. By Olufemi Akinnifesi Ogori Magongo, Nigeria Ogori-Magongo is a peculiar tribe in Kogi State, Nigeria comprising of two tribes, Ogori and Magongo. One of the peculiarities is the geographical chain of hills running east-west connecting Ogori and Magongo. This made housing and even terrains for agriculture a challenge for the growing community. Even at the face of this, inhabitants, with their diggers and hoes, still find ways of conquering parts of the hills to bring shelter and food to its people. By Olufemi Akinnifesi Akure, Nigeria Emma has just migrated from a rural area to Akure, a rapidly developing city in Southwestern Nigeria. 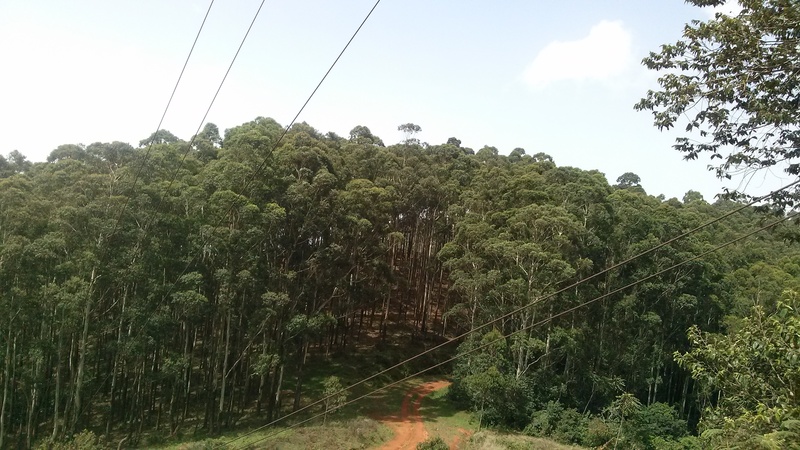 As the city develops to accommodate new settlers like Emma, pollution and combustion increase, while forest landscapes are lost faster than envisaged. Through sustainable landscape planning and ‘Urban Forest’ policies, young Emma will have her beautiful nature to hold onto while she enjoys a cityscape with less eco-pressure in the future. By Birendra Raj Bajracharya Cholatse Glacier Lake in Everest region,Nepal. 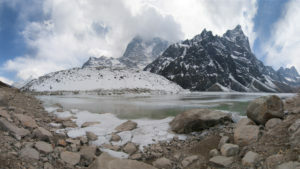 Cholatse Glacier Lake is one of the major glacier lakes in the Everest region . The United Nations Environment Programme Regional Office for Asia and the Pacific investigates the impact of climate change on glaciers and glacial lakes in the Khumbu-Everest region, Nepal. UNEP focuses on changes in the number and size of glacial lakes forming behind exposed end moraines as glaciers retreat, and the resulting potential threat of glacial lake outburst floods (GLOFs). Land Reclamation Project on a Lead-Acid battery waste dumpsite in Ibadan, Nigeria. 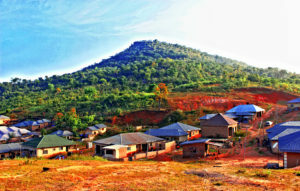 By Sifau Adejumo Kumapayi-Ibadan, Ibadan, Nigeria. The abandoned dumpsite of a car battery producing company became a barren degraded land where no plant could grow because of Lead contamination. Using varying levels of compost treatment, the land was turned fertile enough to grow mature maize crops. 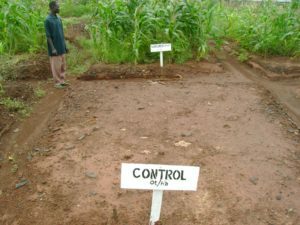 The CONTROL plot was untreated for reference while the plots at the back showing plant growth were treated. By Dorin Lida Krui, Lampung Province, Sumatera Island, Indonesia Those who are most vulnerable to climate change are the people who are dependent on their local environment. Supporting people in forests and giving them the ability to manage their own environment can help climate mitigation. We can adopt the teachings of the Krui tribe who are already successfully preserving forest resources and living in harmony with them. As a well known place for Damar resin, a key ingredient in varnish, incense and oil paints, people truly commit to sustainability, since they believe Damar will preserve a future for their grandchildren, as their ancestor have done for them. By Enkhtur Dorjzovd Mongolia. 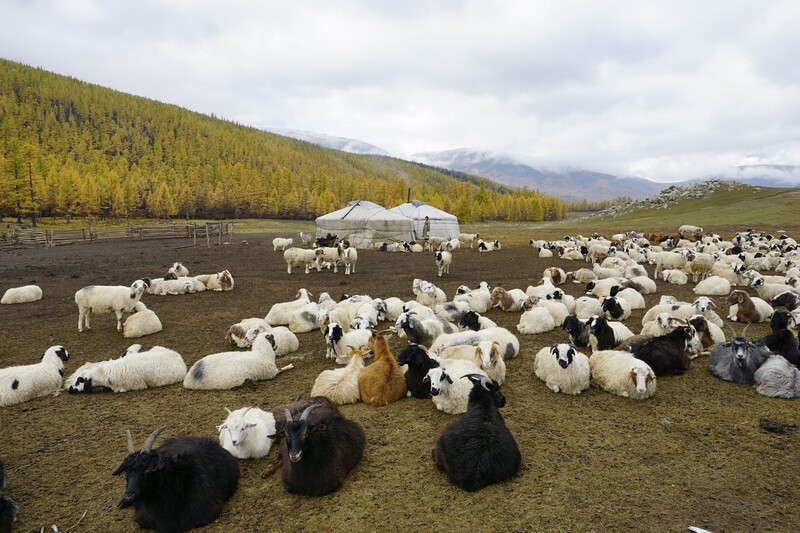 Small herders in Mongolia live a nomadic lifestyle. The mobile style of living and free range livestock throughout the entire year is a traditional practice for the sustainable use of resources. 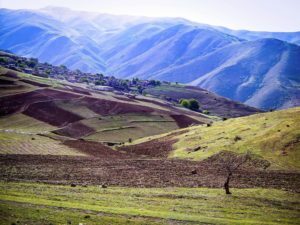 By Mona Poorzady Arasbaran Biosphere reserve in North west of Iran. The growing population and consequent increase in demand for food resources leads people to over exploit natural resources. These regions are close to the Arasbaran Biosphere reserve and their cultivation of steep slope highland leads to soil erosion and increased flood risk, which are all results of unsustainable land use and lack of sustainable land use planning. By I Ketut Arnaya Negara, Bali, Indonesia. Subak is a traditional, ecologically sustainable irrigation system for paddy fields on Bali island, Indonesia which was developed in the 9th century. 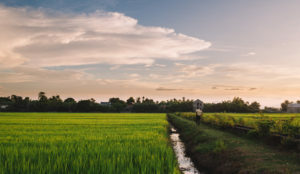 Subak is comprised of the forests that protect the water supply, the terraced paddy landscape, rice fields connected by a system of canals, and tunnels to irrigate subak land. By Sergio López Barrera Huế, Vietnam. 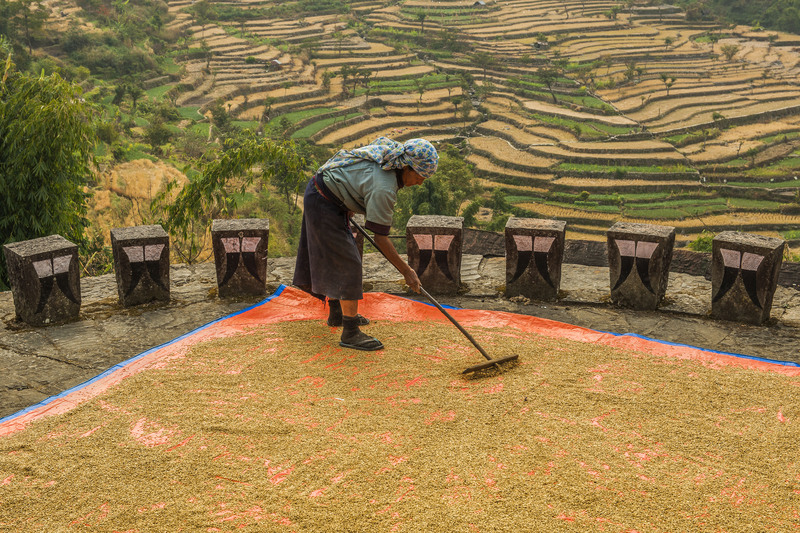 In the villages of Huế, Vietnam, rice farming is their main source of income. Still, there has been a rapidly increasing demand for livestock products. 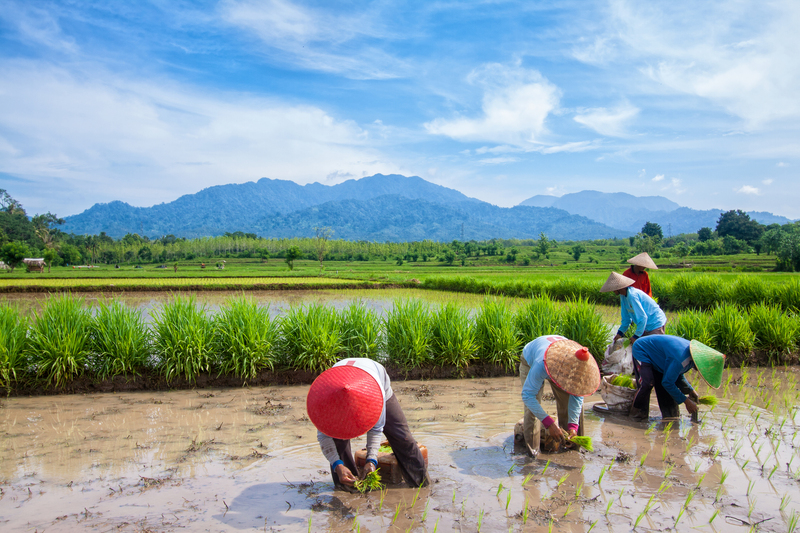 Biogas technology is currently a widespread decentralised source of energy in rural Vietnam. Small-scale biogas plants have the capacity to reduce environmental pollution and enhance living conditions of the local community. As a result, this technology combines different job occupations for income diversity. By Eric Chong Sey Lo Ebb & Tide flows everyday, Day & night flows timeless. By Lahcen El Youssfi Oum Rbiaa Sources, Khenifra, Morocco. 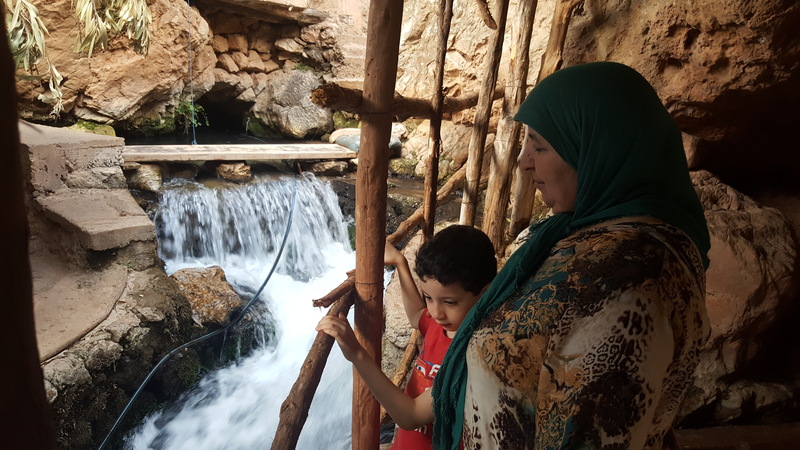 Oum Rbiaa (the mother of springtime) water is an important source for Morocco and an ecological site that gives life to the second-largest river in Morocco. It’s one of the most symbolic landscapes and it deserves more and more care for sustaining and preserving water resources for future generations. 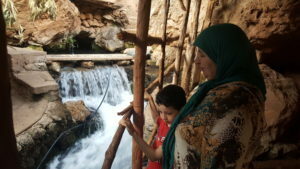 Like a grandmother and grandchild, we must care for and nurture our water-sources. By Abdelhakim Bahami A small village near Ouarzazat – Morocco This picture was taken in an isolated small village (douar) near Ouarzazate. People in that region suffer on a daily basis when looking for water supplies. They also live feeling marginalized and left to face this problem alone. My picture shows the hope on two children’s faces after drilling a well near their homes. I think that our governments, local and international NGOs should think more about implementing solutions to end the daily struggles of these people and make basic access to amenities like water every person’s right. By Indhafadhilah Annisa Maha Rambut Island Wildlife Sanctuary, Indonesia. Biodiversity increases the productivity of ecosystems. Each species, no matter how small, all have important roles to play. 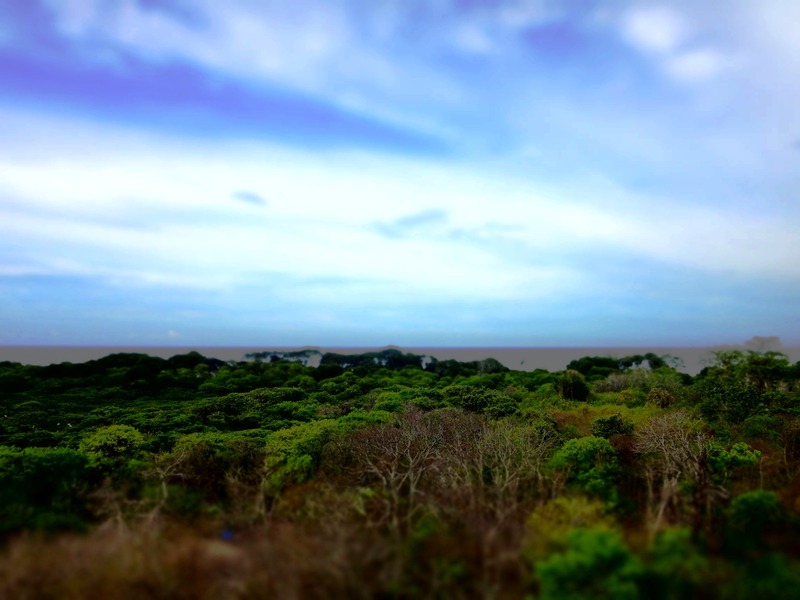 This photo was taken when I visited Rambut Island Wildlife Sanctuary. Trying to find lots of beautiful flora and fauna, and learn about their behaviour directly in the reserve and also learn about the management of this wildlife refuge. By Arne Dr. Thies Benin. 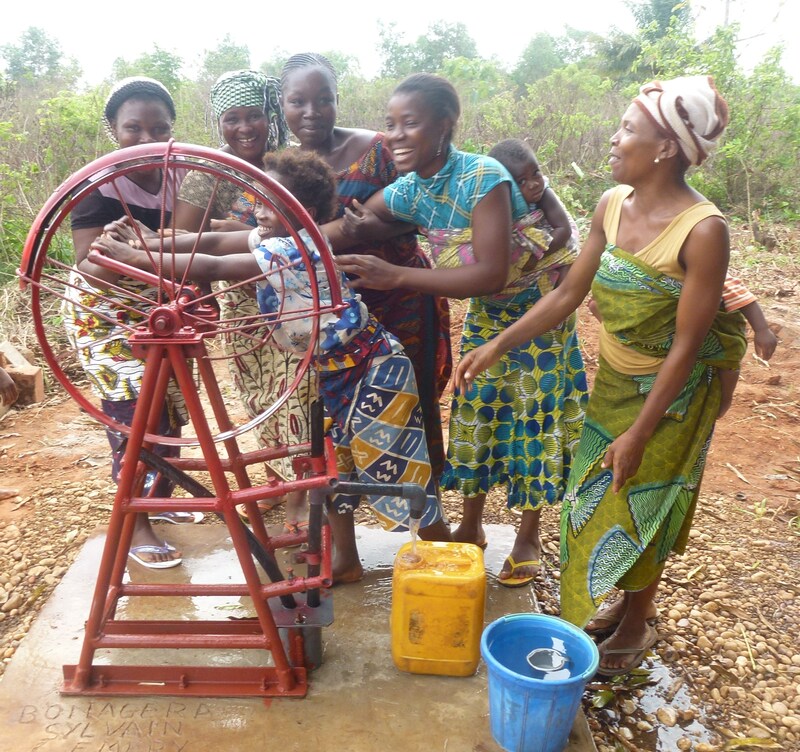 Autonomous access to clean water is made possible by “South-South” know-how transfer in Africa. Local jobs are created and all the necessary equipment and pumps are made locally, without the need for external assistance or importation. By Julia Ruiz de Castroviejo Méndez Pa’Oh ethnic. Kyauk su, Myanmar. From Kalaw to Inle Lake. 2016. 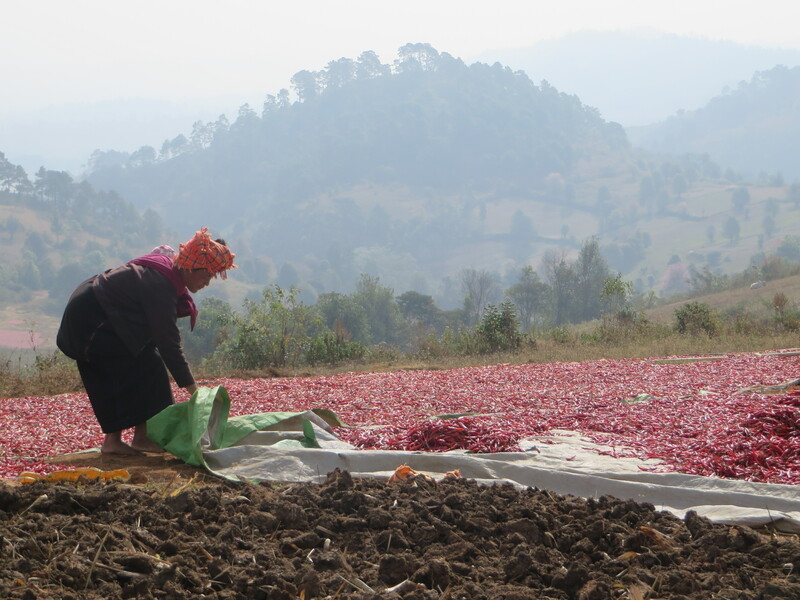 Woman works her land, growing and harvesting chili peppers. Communities around the world suffer violations of their rights and displacement by government and multinationals. Communities are an integral part of a sustainable landscape approach, so respecting the rights of communities means achieving sustainable landscape integrity and the protection of biodiversity. All this is key to fighting climate change and making sustainable use of the land. By Ana Luiza Violato Espada This photo was taken in a sustainable-use protected area in the Brazilian Amazon called Extractive Reserve “Verde para Sempre”, Porto de Moz, Pará State, Brazil. 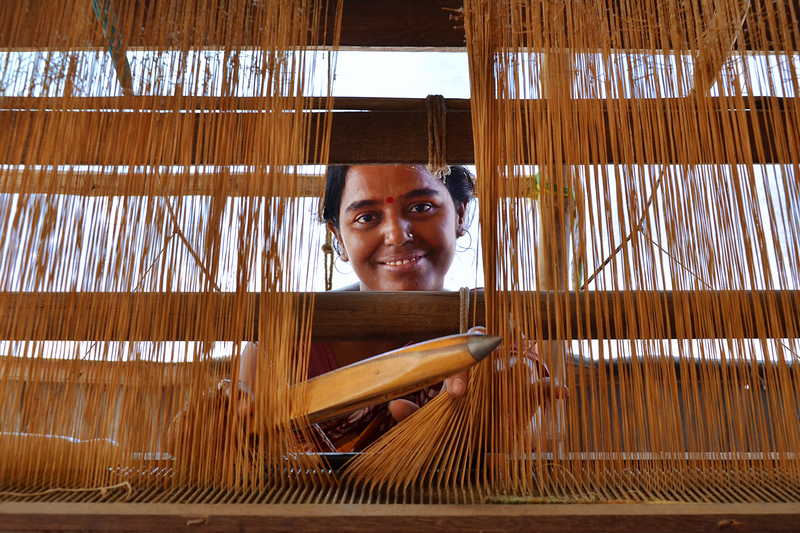 Youth and women are key to empowering marginalised social groups around the world, such as indigenous communities. 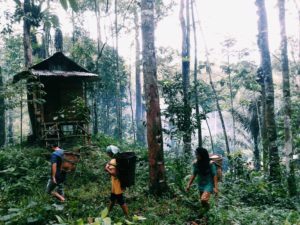 In tropical rainforests, people living in rural areas are using forest products and services to alleviate poverty. It is essential to avoid a rural exodus. We can do that by offering youth and women access to technology, promoting local jobs related to natural resource management, and empowering women to assume a leadership position. By Saeed Anwar Khyber Pakhtunkhwa (KPK). By planting trees, we can help counteract the loss of species, as well as provide increased habitat connectivity between regional forest patches. 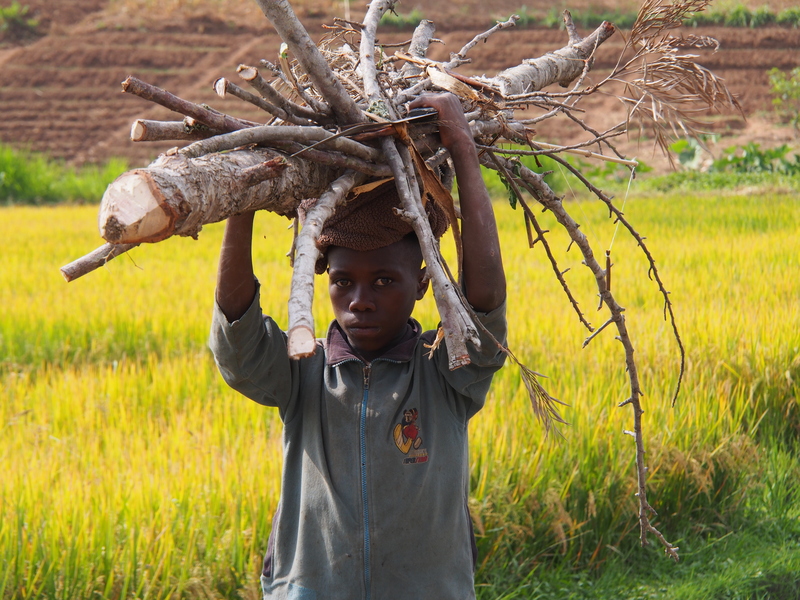 Trees help communities and their Livelihoods. Trees help communities achieve long-term economic and disaster free environment. 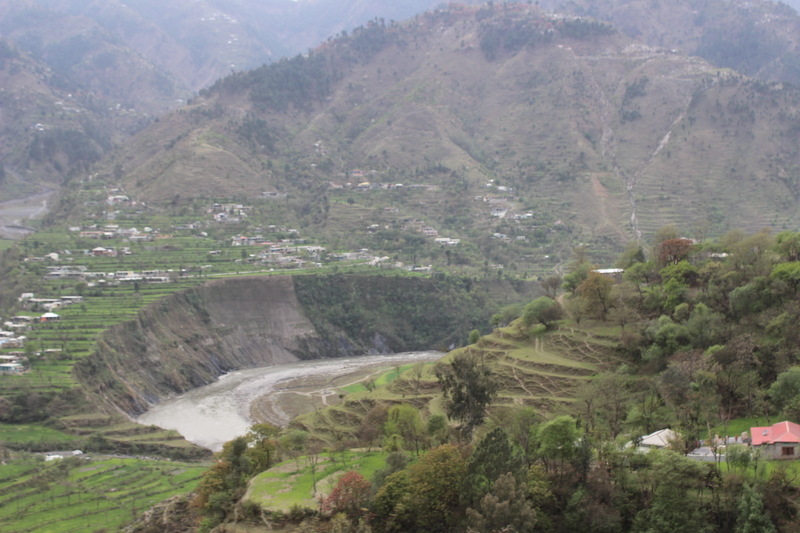 The KPK Government has started a massive “Billion Tree Tsunami” campaign in Pakistan’s northwestern province, where authorities plan to plant one billion trees by the end of 2018 to help restore deforested lands. 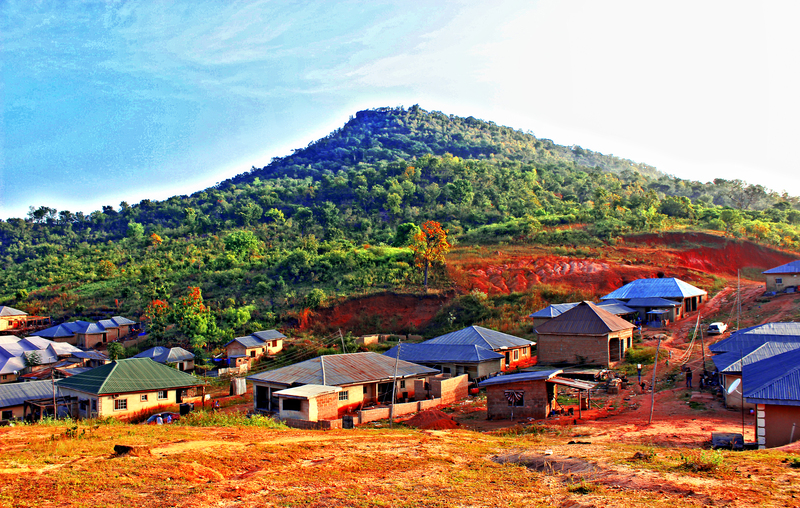 By Laurice Christelle Nkongo a Boull West region, Bana, Cameroon. This area has a huge potential for wind power energy. Many years ago, the population used to cut trees here, but for years now it is a protected area and has been selected as a location for the REDD project. The population is now forbidden to cut trees there. By Olufemi Akinnifesi Ogori Magongo, Nigeria. Ogori-Magongo is a peculiar tribe in Kogi State, Nigeria comprising of two tribes, Ogori and Magongo. One of the peculiarities is the geographical chain of hills running east-west connecting Ogori and Magongo. This made housing and even terrains for agriculture a challenge for the growing community. Even at the face of this, inhabitants, with their diggers and hoes, still find ways of conquering parts of the hills to bring shelter and food to its people. By Laurice Christelle Nkongo a Boull Littoral region, Cameroon. Many years ago, this waterfall was bigger than this but the reduced water flow is having a negative effect on the entire ecosystem. 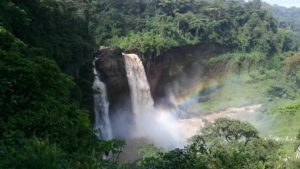 This is now one of the tourist hotspots of Cameroon that is protected by the government through the Ministry of Tourism and Leisure. By Olufemi Akinnifesi Akure, Nigeria. Emma has just migrated from a rural area to Akure, a rapidly developing city in Southwestern Nigeria. 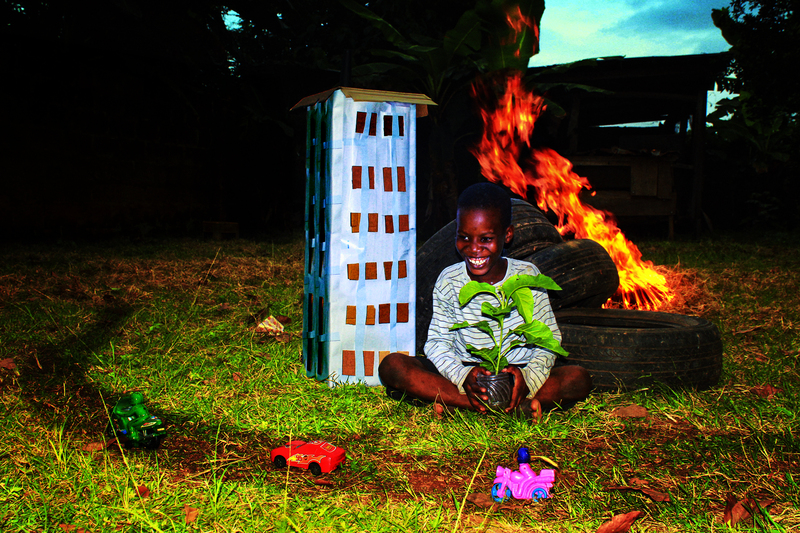 As the city develops to accommodate new settlers like Emma, pollution and combustion increase, while forest landscapes are lost faster than envisaged. Through sustainable landscape planning and ‘Urban Forest’ policies, young Emma will have her beautiful nature to hold onto while she enjoys a cityscape with less eco-pressure in the future. By Debraj Adhikari Crop rotation and ecological management deserve due respect in Switzerland. The grass cover in the sloppy land prevent soil erosion and nutrient loss. Besides, replacement of trees after cutting is very important for the sustainable harvesting of trees and health of the whole ecosystem. These contribute to ecosystem services and support the climate change mitigation, sustainable land use and reforestation. 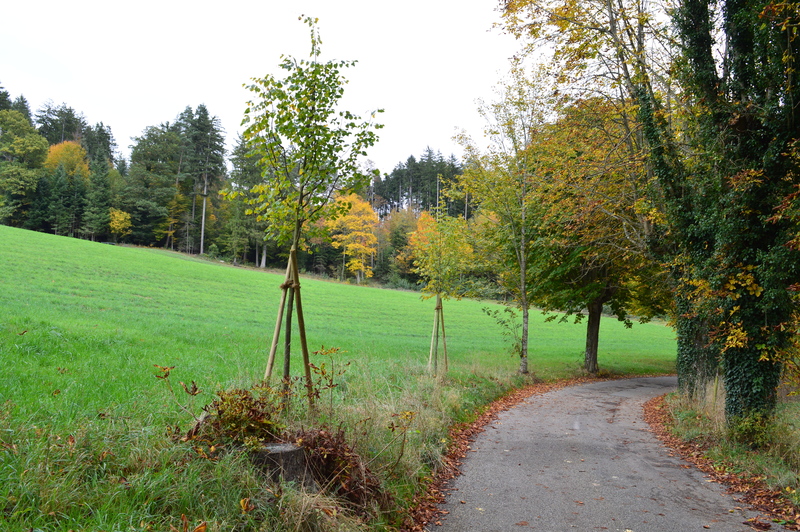 Trees are ready to welcome winter though, they are unhappy to loose greeneries. By Lahcen El Youssfi Oum Rbiaa Sources, Khenifra, Morocco. By planting trees, we can help counteract the loss of species, as well as provide increased habitat connectivity between regional forest patches. Trees help communities and their Livelihoods. Trees help communities achieve long-term economic and disaster free environment. The KPK Government has started a massive “Billion Tree Tsunami” campaign in Pakistan’s northwestern province, where authorities plan to plant one billion trees by the end of 2018 to help restore deforested lands. 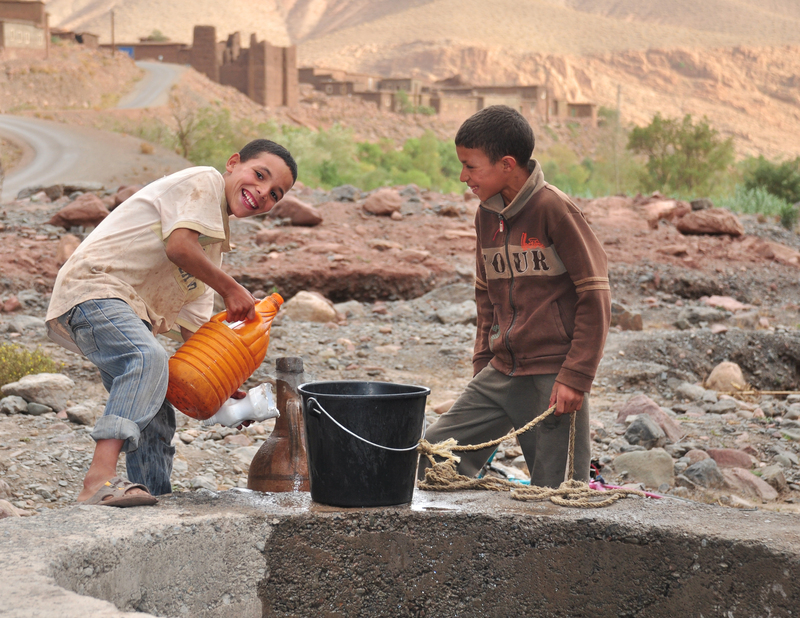 By Abdelhakim Bahami A small village near Ouarzazat – Morocco. This picture was taken in an isolated small village (douar) near Ouarzazate. People in that region suffer on a daily basis when looking for water supplies. They also live feeling marginalized and left to face this problem alone. My picture shows the hope on two children’s faces after drilling a well near their homes. I think that our governments, local and international NGOs should think more about implementing solutions to end the daily struggles of these people and make basic access to amenities like water every person’s right. 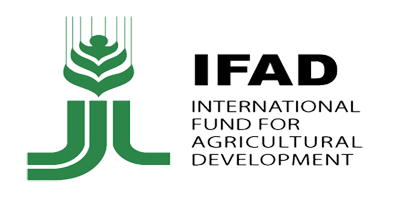 Building on the success of the Forest Days and Agricultural and Rural Development Days, the inaugural Global Landscapes Forum took place on the sidelines of the UNFCCC COP19 in Warsaw. In 2014, the second Global Landscapes Forum brought together 1,700 stakeholders in Lima, alongside UNFCCC COP20.